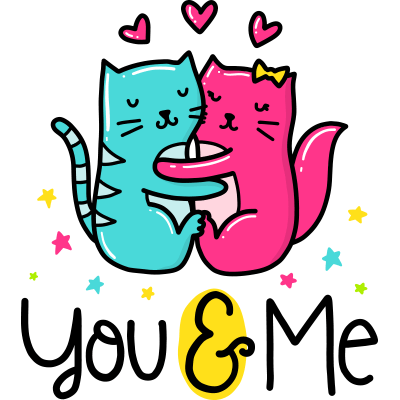 Add some feline sweetness to your next message to your loved one with this beautiful sticker. Because a picture is worth a thousand words, it has a way of showcasing your feelings with distinction. Your loved ones and friends are sure to perk up when they see your image-strewn messages and posts.